My fab crew at work! My creativity and energy allows me to serve people for over 10 years! I enjoy handcrafting drinks, that is my forte! I put love in my mojitos and specialty drinks for that extra kick you are looking for! I worked at one of the oldest cafe bar in Queens with passion for 11 years, so I decided to bring the bar at your event! 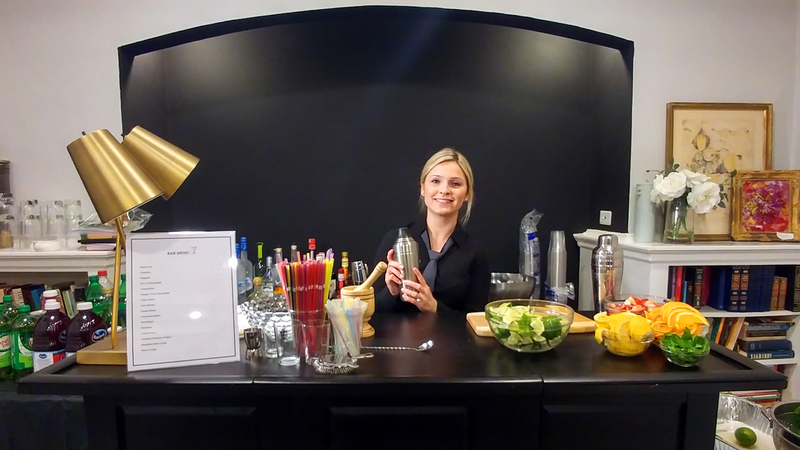 be your bartender-on-the-go where you can choose MY specialty cocktails! Just let me know what your special event is- birthday, engagement, bridal shower, wedding, baby shower, and I will come up with various plans! Nadine is an expert bartender with a great personality! We are repeat customers ! Thank you for your review! 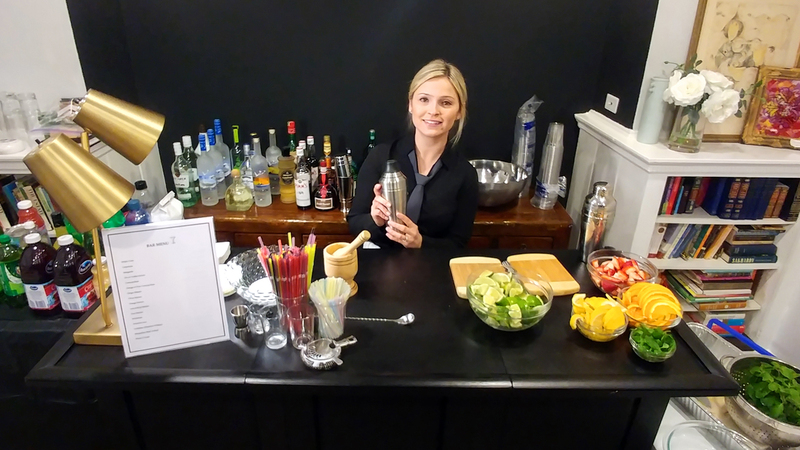 I am always happy to bartend at your lovely events! Looking forward to any future event you may have! Nadine did an excellent job for our office event. She has the best attitude and is very customer service oriented. 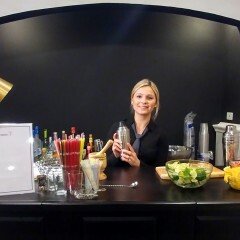 Our clients loved her and the cocktails she made were delicious. Highly recommended. Thank you Nadine! Thank you for your review, Maja! I am happy I got to assist with your corporate event as a bartender and waitstaff. I hope to be at your service again! We had Nadine at a cocktail party in our private home. We sent her a list of our liquor inventory and she sent us a menu of drinks that could be made from them and a list of fruit and mixers to buy in preparation for our event. She arrived and prepped tons of fruit and drink accouterments and brought a printed menu of the drinks. She was a fantastic bartender and then cleaned up the bar when the event was over. Our guests loved her and she did a really great job. She is very professional, had a proper bartender uniform and also was great at chatting with the guests like any good bartender does. She took care of everything needed to run a fully professional bar operation. I'd highly recommend Nadine for any event from the most upscale to a casual party. Please see my photos below from the event to see exactly how we set everything up- maybe our pics will give you ideas for your party! Thank you for your review, Steve! I am happy I got to assist with your event and help set up a menu based on your inventory. 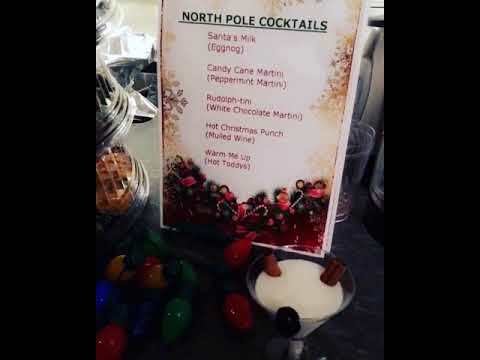 It was one of my favorite events as your house setup looked like a real bar area and allowed me to make most of the specialty cocktails I have on my menu! 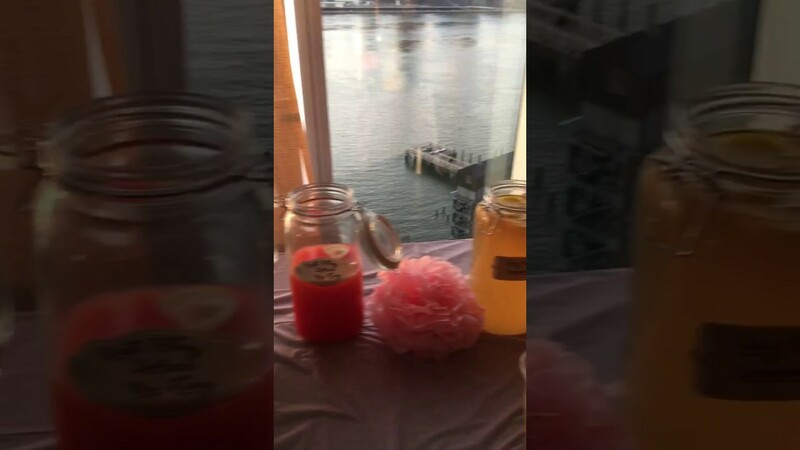 I am also happy that your guests where adventurous enough to try every cocktail! I hope to be at your service again! I highly recommend Nadine! She did an amazing job, made sure everyone was having a good time and was overall great to work with! Thank your for your review! Your party was a great success! Happy I was able to accommodate everyone. Nadine is a great hire as a bartender. She was extremely accommodating prior to the event- answering questions, making suggestions and working with me to make sure everything was perfect. At the event, she was pleasant, hard working and an all around pleasure. I am definitely looking forward to having her bar tending at future events! Thank you for your review, Steven! I am glad I was able to help with your event arrangements and most importantly, that I performed well bartending! Looking forward to any future event you may have! Nadine was very professional and sweet. She was punctual, courteous, fast , efficient and made great cocktails! Thanks for keeping the party and drinks strong ;) Would highly recommend! Thank you so much for your review! I am glad I was able to keep your guests happy! You organized one of the most beautiful events I've ever worked at! I hope to be at your service again! 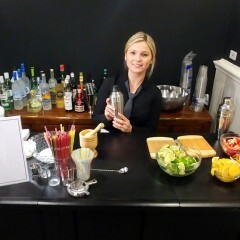 Nadine provided great bartending service at our event. She was friendly and hospitable. Would definately hire her again and highly recommend her to others. Thank you so much for your review, Steven! The event was a great success! I hope to be at your service again. She took command of the bar and made the most amazing drinks. She made sure everyone was having a good time. Thank you so much for your review, Donna! The party was really great! I hope to be at your service again. Thank you so much for your review, Joe! Nadine did a fabulous job for our anniversary party. The cocktails she made specifically for the event were a huge hit with our guests. She showed up early and stayed late. She helped make a party a big success. Thank you so much for your review, Tim! I am thrilled you and your guests liked my service. Your parents' anniversary was perfect thanks to you and your brother! 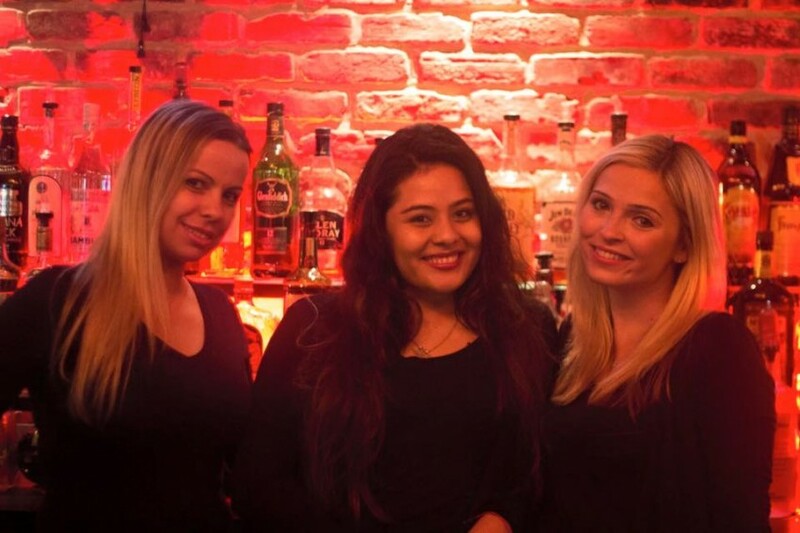 The most friendly and professional bartender! Nadine was absolutely amazing!! I loved every drink she made for me and she did it with a smile. She's very personable, friendly, and knowledgeable. Her mixed drinks were served with beautiful presentation. The added element makes the drinks a very memorable experience. I highly recommend Nadine for all your parties! Nadine is by far a master bartender. 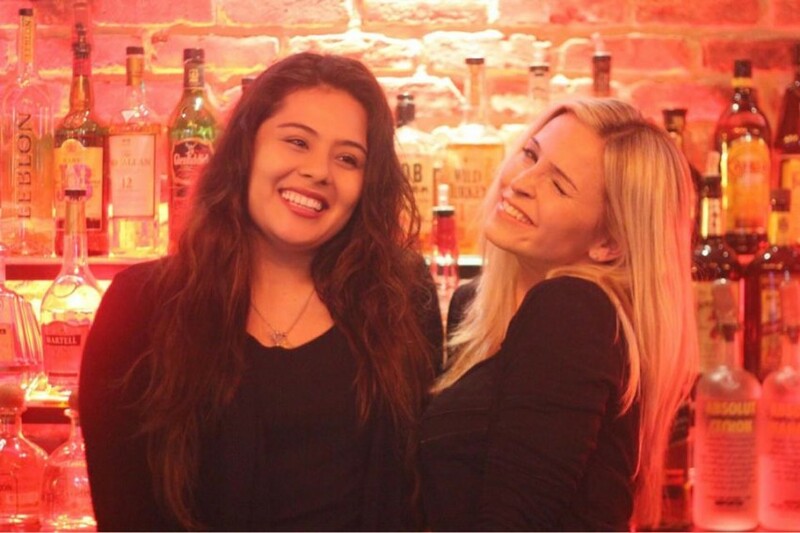 Her long term experience, remarkable personality, attentiveness, and enjoyment, makes her a phenomenal bartender that leaves people coming back specially for her. She is one of a kind and will bring love, laughter, fun energy, and of course delicious drinks to your party! My sister in law hired Nadine as a bartender for her baby shower this past weekend. Nadine was a pleasure to work with from the onset. She was kind enough to put a list together for us of items we would need for the party, she arrived well in advance in order to set up and she kept a smile on her face throughout the day. Everyone was raving about how good her drinks were and she was great at anticipating when someone needed a drink. Nadine is extremely hardworking and she only stopped to eat once most people had left. I highly recommend Nadine and hope to have her working on of our parties again in the future! Thank you so much for your review, Marilena! I am thrilled that you liked my service! The party was a success! Nadine was the bartender for my baby shower and she made our party!! 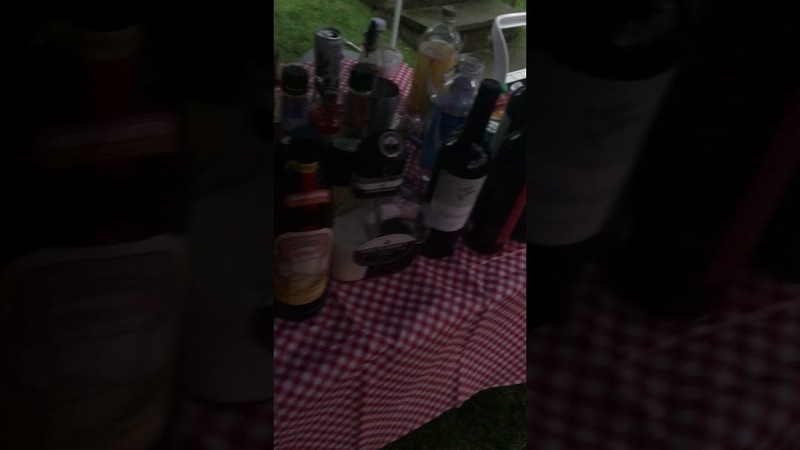 She greeted everyone (even us non-alcoholic drinkers) and asked us what we liked and she made a special cocktail. I've never been to a party with someone who was so engaged, personable and extremely efficient. There was never a wait time she somehow managed to make drinks for 40 people with a smile on her face. She is the only choice for bartender of all our future parties! She seemed too good to be true and she exceeded our expectation more than we even thought. She is a truly hard working and amazingly sweet woman that loves to host and has the best attitude!! I recommend for any type of services as she is my #1 choice going forward!! Good luck Nadine you deserve all the best!!! Thank you so much for your review, Marina! I am so glad you liked my service! Your baby shower was a hit thanks to your lovely organizers! Nadine is a terrific and very experienced bartender. She did a great job at a party we hosted recently. Nadine is a very knowledgeable mixologist and totally professional. Worked very well with other staff catering our party and her rates are quite reasonable. I highly recommend her. Thank you so much for your review, John! I am glad you and your family were happy with my services! I hope I can be at your service again! Nadine is an awesome bartender - there's no other way to put it. She bartended my birthday and everyone was extremely satisfied with both the speed and quality of the drinks. She also has a very positive and cheerful attitude. Highly recommend! Tldr: She makes great drinks very quickly always with a smile.